Lock in a great price for Hôtel La Couleuvrine – rated 8 by recent guests! Very nice breakfast. Beautiful stone building. Rooms small but nicely appointed. Location was perfect for walking around town. The room we booked was tiny, but we didn't need anything larger. The bed was very comfortable and the bathroom exceptionally clean. Beautiful historic hotel in the most perfect location. We were very happy with our stay. Being of a certain age, there were too many steep stairs to climb and haul suitcases. That said, the location was the best! Despite reserving parking in advance, we had to pay way too much to park near our room. ( a euro for 30 minutes with a max of three hours until 7 pm. Very expensive and confusing for us. Overall location trumped all. The restaurant was great! The staff were really friendly and attentive. The location was excellent! Just a shame it was january when we visited and not summer time! The rooms were clean and well presented. All in all, a great couple of nights. 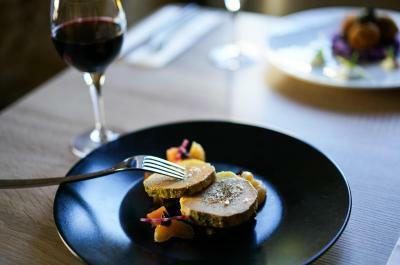 The hotel is centrally located in the village of Sarlat with lovely shops and great restaurants. The Sunday morning market was amazing! I recommend you go out early to avoid some of the crowds. The room was pretty basic but certainly adequate for our needs! There is a small paid parking lot across the street from the hotel, but it is free overnight. The hotel is close to the center of Sarlat and an easy walk to the sites. It is in a busy intersection so noise can be an issue as our room faced the street. The staff were of little help and barely acknowledged our presence. Most of the guests were French. There is a very nice restaurant on the ground floor and a very good breakfast is served. Parking is on the street so you must feed the meter if you want your car nearby. Free parking is available but it is some distance off. Treated with such kindness and loving hospitality. Couldn't have asked for a better experience than the one we shared. It was such a treat to stay at such an amazing, magical, and beautiful place. Everything was absolutely perfect! The triple room was spacious and very comfortable. Location was excellent. Staff was helpful. Loved the location and the sheets. Staff were fantastic. Very helpful and great fun. 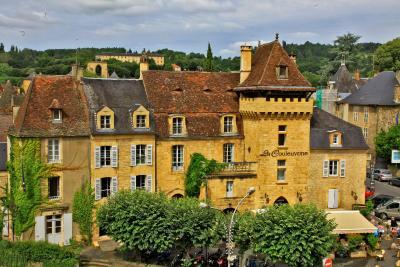 Located a 5-minute walk from Sarlat-la-Canéda historic and picturesque center, La Couleuvrine is a hotel set in a remodeled fortress from the Middle Ages featuring a grand fireplace from the 13th century. 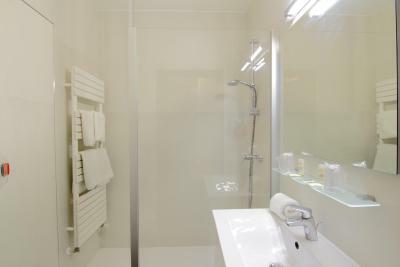 It offers unique accommodations with elevator access and a business center. La Couleuvrine en suite guest rooms are individually decorated and many have antique furniture. Each has a TV, hanging space and ironing facilities. Some rooms have free WiFi access. Breakfast can be served directly to guests’ rooms or selected from the buffet. 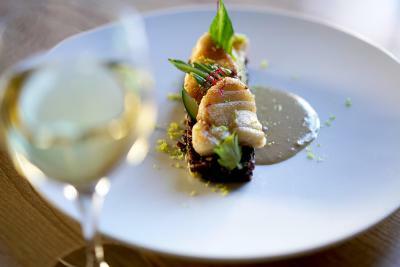 The Brasserie provides lunches and a more formal restaurant serves dinner. A wide selection of regional wines is available by the glass at both. 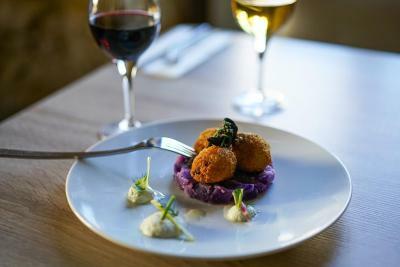 This hotel's location makes it an excellent base to discover Périgord Noir Region with Lascaux Caves located 16 mi away and Domme just 7.5 mi from the property. Sarlat-la-Canéda Train Station is 1.2 mi from the hotel. This is our guests' favorite part of Sarlat-la-Canéda, according to independent reviews. When would you like to stay at Hôtel La Couleuvrine? 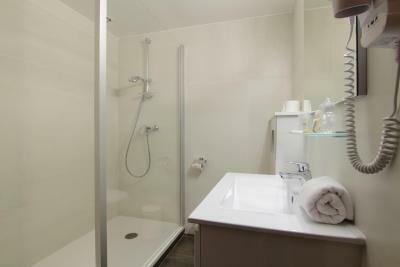 This room with attached bathroom features unique decor. 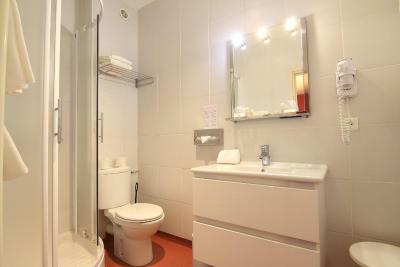 This small double room includes a desk and has a private bathroom with a shower and free toiletries. 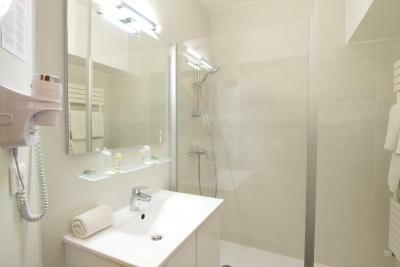 This twin room includes a desk and a bathroom with a shower and free toiletries. This family room includes a TV, a desk and a private bathroom with a shower, a hairdryer and free toiletries. 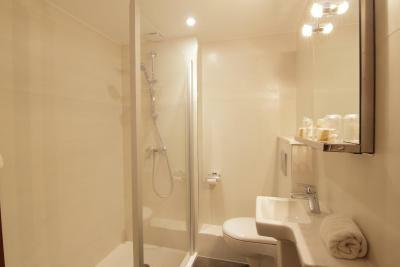 This comfort room includes a TV, a desk and a private bathroom with a shower, a hairdryer and free toiletries. La Couleuvrine, superb 2* hotel dated from the 15th century. Perfect location in the jewel of black Perigord: the city of Sarlat. 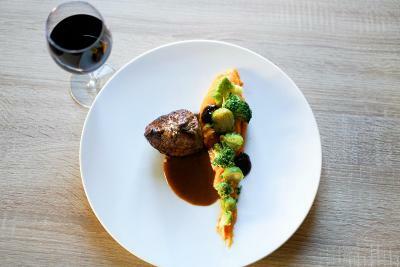 A warm restaurant will serve you fresh and very tasty homemade dishes for moderate prices. House Rules Hôtel La Couleuvrine takes special requests – add in the next step! Hôtel La Couleuvrine accepts these cards and reserves the right to temporarily hold an amount prior to arrival. Not possible to just have coffee and croissant for breakfast. It is the buffet or nothing. It is a beautiful historic building, inside and out. A lounge area would have been good. Wi-fi was not working and there was little indoor common space. Otherwise, we were completely satisfied with the professionalism of the staff and their communication and the beauty of the place. Room was very small with little air circulation making it hot and stuffy at night. The fan provided helped a little. Room 11 was more like a cupboard! The bathroom again was tiny and dated.However it’s saving grace was the balcony.We also requested parking which they abliged but didn’t say it would cost 10 euros a day. The location is superb as it is walking distance to the main square.